Scott Bader produces a line of emulsions, inverse emulsions and alkali swellable thickeners. The Texicryl consists of styrene acrylics for the graphics arts and specialty coatings markets such as CTAs, textiles and OPV. This group includes the ASE and HASE products. The Polidene line consists of vinylidene chloride copolymer latex emulsions that used in fire retardant and DTM coatings. The Texipols are unique water based inverse emulsion thickeners for the coatings and adhesive markets. The sister line is the Viscoclyn product line for I and I applications. 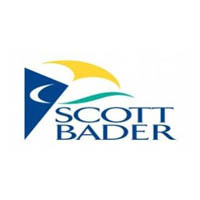 Scott Bader has their US headquarter in Stowe, OH.